Today, instead of the usual column, we have decided to update earlier news on new orders for expedition, adventure and small ships. This number has now reached twenty-seven vessels, twenty-three from European shipyards and four from China. 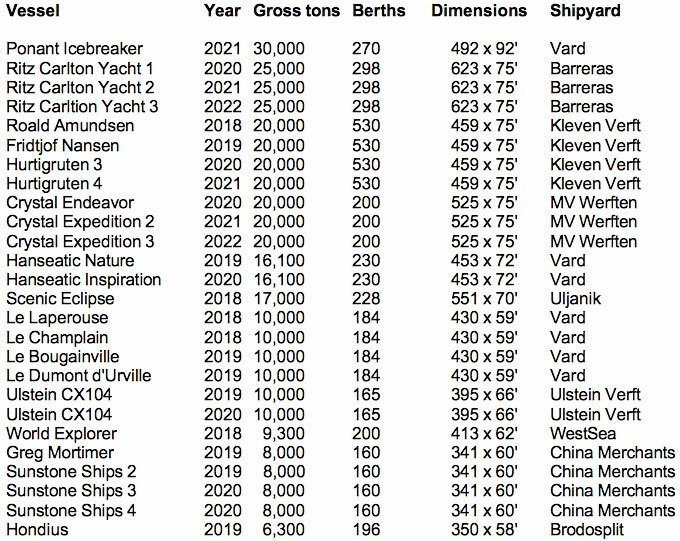 Thirteen of these ships, will be completed in Norway, seven of which are due from Fincantieri affiliate Vard and the others from Kleven and Ulstein.